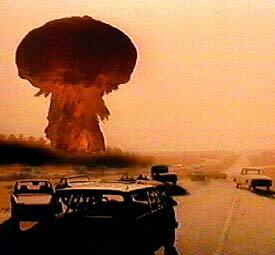 The Day after is a a movie that aired on TV on November 20, 1983. It was on ABC Television. It had a record breaking 100 MILLION viewers during its initial broadcast! I believe this still holds the record as highest rated television movie in history. Previous Previous post: Indoor Pastures. Double Your Herd While Everyone Else is Selling Cheap! Next Next post: How Prepared Are You? Take This Survey and Find Out!